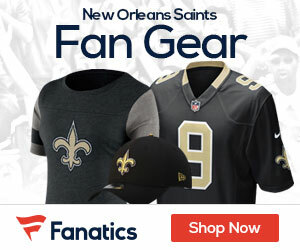 In an expected move, the Saints placed previously suspended linebacker Jonathan Vilma on the physically unable to perform list Monday afternoon because of a lingering knee injury, Larry Holder of the New Orleans Times-Picayune reports. This means Vilma will have to sit out at least six games before being eligible to return to the field. The Saints also officially added wide receiver Adrian Arrington back to the roster after releasing him leading up to the Week 1 matchup against the Washington Redskins. Vilma’s season-long suspension connected to the Saints’ alleged bounty program was vacated last week by a three-person panel last Friday. Vilma returned to the Saints facility that night and stood on the sidelines during Sunday’s 40-32 loss to Washington. He also received a huge ovation from the soldout Mercedes-Benz Superdome crowd on Sunday when he led the pregame “Who Dat” chant on the field. The Saints originally placed Vilma on the exempt/commissioner’s permission list after the suspension was vacated. He wasn’t healthy enough to return to the field after dealing a chronic knee injury that forced him to miss five games in 2011.